That’s right, you are in business and you better be good! You can be in denial because you work for someone or you are a stay at home spouse, but you are fooling yourself. You are in business and you need good skills or you will go bankrupt. Before you panic, you do not need a degree in accounting, business or special skills. A little knowledge and common sense will help you succeed. Someone needs to be in charge of your business. Can you imagine a business without a leader? Every business has managers or owners. They have job descriptions and goals. The company or business has a vision of what they want to do and how they will do it. They even spend time forming a strategy and a strategic plan. I know that is a mouthful of terms, but why should you not do those things? No plans, vision or purpose sounds like a business that will drift and wander aimlessly. Someone needs to be in charge and lead to reach your goals. You need a plan! How will you achieve your financial goals? It doesn’t stop there! You need a form of a business and/or strategic plan too. A business plan is a formal statement of a set of business goals, the reasons they are believed attainable, and the plan for reaching those goals. You should apply this to your career, business (now or future) and personal life. Whether you work for someone, have a business or some other source of income, you need to know where you are going. Business plans are decision-making tools. I see it as an opportunity to ask all the questions to lay out a plan for your future. 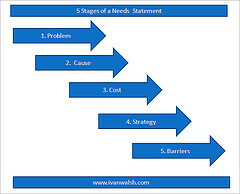 Strategic planning is an organization’s process of defining its strategy, or direction, and making decisions on allocating its resources to pursue this strategy. It is a longer range form of a business plan. It makes you think about your future in different terms. What is your vision, sometimes as long as twenty (20) years into the future? It is also an opportunity to define your purpose, mission, values and strategy. It is a long range view of what you are trying to achieve as goals. You can evaluate the present, set goals, develop an action plan and determine the necessary resources to reach your goals. Setting goals, asking questions and establishing plans are just some of the things you need to do to start your journey. More importantly, you need to know how you will get there. An action plan is may be the difference between achieving success and just going through the motions. The planning process triggers discussion and stimulates questions that may never come up. The more detail in the beginning the better and more defined goals. Ultimately, you will create a better plan to reach your goals. If you are single or married, you need a plan! A plan is best when all participants establish goals and plans together. Your plan should take into account your career, personal finances and personal goals too. You need a long range plan which is five (5) years or more into the future. It should be part of your strategic plan that should go out even further. What do you want to achieve in the long run. It may include retirement planning, career, starting a business, investments or personal goals. When you plan, it does not mean you cannot change it, but it helps you work toward a goal. Looking twenty (20) years out, it will change and you should adjust your plans. Often plans do not include career or starting a business. Setting milestones for your career or making plans for starting a business should not be left to happenstance! My career was filled with experiences to get me ready to start a business. Even if you are not interested in starting a business, you should always gain experience so you are ready for that next step or promotion. If your career is not moving along the way you want, you probably did not do much planning! Without a plan, you cannot measure your progress. You Got Your Plan, Now What? Once, you have a plan, start executing it. If you are married, you need to understand your role in helping the partnership reach your goals. Who does what? Outlining your responsibilities and monitoring your efforts will help you see your progress. Your personal life is no different from a business. Does it lessen the desire to reach your goals? Of course, not! Whether it is getting control of your expenses or saving for a home, you determined it was important. Goals are goals and you are just using business tools to help you achieve your goals. Businesses plan because they want to prepare for the future. Individuals are no different! Monitor your progress and adjusting your efforts is equally important. What kind of system will you use for controlling your expenses? It can range from no system to a spreadsheet budget. Controlling your expenses and having reserves for expenses that are difficult to predict is essential. Many people call these reserves, emergency funds in personal finance. Set up reserves for equipment replacement, repairs and maintenance to name just a few. Typically in personal finance, we focus on expenses or income. Business is measured on profitability. It is what is left over after all the expenses are deducted from income. Individuals should have something left over when you deduct all the expenses too. It is such a simple concept, but not that common. I usually put that “profit” into savings for the future! Do you make a profit? Unprofitable businesses are not sustainable and usually go bankrupt. The ideal is to put aside at least 10% in savings! In business, we measure performance using ratios. How much do you spend on housing, food, entertainment etc. Remember, you cannot exceed 100%. My secret is I start with savings or “profit” and adjust everything else to achieve it. Since housing is generally your biggest expense it is important to keep it reasonable. Housing should never exceed one third (33 1/3%) of income. If you exceed this percentage, you should reduce your housing expense. You could move or take in a roommate! Your other expenses are more discretionary and you can make less drastic changes. You should approach your career, business and personal life as if it were a business. You make many decisions all the time and you need to plan your future. Without a plan you will make mistakes and have difficulty achieving your financial and other goals. The planning process prompts questions and develops milestones to help you measure your performance. A well thought out plan keeps you on track to reach your goals. After all, everyone is in business. After all, everyone is in business. That is a very interesting perspective. If you treat your job and life as a business, you may be able to plan it better. It is a matter of perspective. Absolutely, I don’t mean to take all the emotion out of life, but planning is important. By your definition, I certain approach most of life as though it was a business. By my friends’ definitions, I plan too much. But making plans, setting goals, and tracking progress generally helps me to get to where I want to be. And is necessary if you have aggressive financial goals like achieving early financial independence. I remember a saying for carpenters, measure twice and cut one! Planning can avoid more mistakes, but don’t let the planning keep you from trying things. I certainly operate our finances much like a business. In fact, my spreadsheet for tracking our finance data contains many tabs that line up with reports traditionally associated with business operations. I have an Equity statement, a Debt statement, a Ledger, and a Balance Sheet, all which get updated and tracked monthly. Tracking you expenses and knowing how you are doing is very much like a business. Imagine not knowing and the result is obvious. Wow, I thought by the title that this was going to be another post telling people that anyone can start a business and that everyone should. So happy it’s not! It’s very true that you can take a household and approach it as if it were a business with an ultimate goal of earning huge profits. The unfortunate part is that, at least from my experience, most people can’t run a business successfully either. I wish it wasn’t true, but just having a plan and know what you want to accomplish isn’t nearly enough. I am glad you were happily surprised! I thought I would share my viewpoint that everyone should approach their personal finances as if it were a business. It doesn’t mean they need to know how to run a business, but use some of the tools of business. My approach is that personal finance is not that different from business. If most people ran just their household income/expenses as a business, they’d realize they’re a losing company and make huge changes. Being able to make good decisions at home with money you earned while making good decisions I think is a huge key to building wealth. Thank you, that is exactly how I feel. I run my “business” to make a profit (surplus after paying the bills). Isn’t what everyone should do? Great thoughts, and ones that I would have to agree with. Planning is incredibly important to be able to see measurable success. I also find that with good planning it also allows you to learn from mistakes made and implement changes to realign your planning. As a lifelong planner, I believe in planning. I monitor my progress to find mistakes and change or adjust. I have learned that not having plans means you don’t make much progress. It’s OK to change the plans, but you need to have some first and foremost. I usually explain as if you got on a bus/plane/train without knowing where you were going. You make good time, but it may be opposite to where you want to go. Everyone needs a goal or outcome to reach for or you will meander. Great points! Thanks so much for sharing! You’re welcome, there are a lot of business approaches that will save you a lot of grief, if utilized. Thanks, If you can manage your personal finances well, you should do well in business. Good luck. Thanks, Managing your personal finances is the start of a business like environment. Plan your business well and you should achieve positive results. I like the post a lot! Well, I have treated my career as a business, but I am about to take a huge risk (quitting job and taking massive pay cut) in order to grow more later. Smart business-wise? Not so sure. I’m working on it! Thanks! When you start a business you need to create a business plan to address all the things before you encounter them. Whenever you make a decision, you weigh the pros and cons and go for it. Good luck. We are like independent businesses in a way, even as employees. We sell our services to our employer for revenue. I like think that along these lines, we are always selling ourselves. This concept can be applied professionally and personally. I also stay with the notion that we are each CEO of our own life. You are in charge! Is your business profitable and is it achieving its financial goals? A business approach means that you take a hard look on your expenses and what can be done to achieve better results. I absolutely agree. I actually have a book in my queue called “spousonomics” that I plan on reading. It talks to the same points you made but with marriages. You have to treat it as a business (after the romance stage), because ultimately it is. You have a job, kids, and responsibilities that need to be completed on a daily basis. Very interesting! I think a good marriage may run like a well run business, but that sounds so sterile! I know my wife and support each other like a good team though. Interesting post. I like to think I do have a business approach when it comes to our household and of course business. If we don’t make a plan & track the progress we will never really know if we are getting ahead or just spinning the wheel. Plans are also very helpful to easily decide the next course of action when we do face some failures, which we most certainly will. Absolutely, if you are doing anything, you will make mistakes. It is just part of life. It is what you do when you make a mistake that matters. You learn from the mistake and fix it if you can. This reminds me of a saying one of my bosses always said…work smarter not harder. Take a little bit to plan is better then having to re-do all over again. In some cases like in buisness you might not be able to. Great post thankx! You’re welcome. I am reminded of the carpenter who says measure twice and cut once. Planning avoids a lot of problems and approaching your finances as if you are a business helps you try to achieve a surplus. You know the adage of spend less than you earn. Outstanding post. Too many times we don’t realize just how important it is to “sell ourselves”, to understand what value we offer a company (or client) and how we can maximize that. When it comes to your career, marketing yourself is paramount! It does not stop at the interview either, you should keep marketing yourself all the time. Getting into business is not an easy venture. We have to think things carefully and planned for things just like what we do with our personal life. Just think if you apply a business approach to your personal life, what you might achieve. Too many people fly by the seat of their pants, whether it’s in a relationship, a business, or their finances. We all need a plan for life, so we are prepared when it takes us by surprise. Too many people are also not informed about how much of their income their expenses should take up. The fact of the matter is that more people need to get educated about this stuff. Funny, how little most people know about money and food! Too many people go through constant difficulties with money and food. Hence all the diet books and way too much debt.Why don’t we learn from our mistakes! Reminds me of the title of a book that I read a decade or so ago…..”We are all Self-employed”. Nobody will worry about or work for our needs as much as we do for ourselves. Although I am unfamiliar with the book, my point is we need to run our lives like a business. Expect to have a surplus or savigs after you pay your bills etc.